The auctioneer’s gavel will soon fall at the UT Institute of Agriculture’s Middle Tennessee AgResearch and Education Center. The center will host the Senior Bull Test Sale on Thursday, January 15, 2015. More than 60 bulls will be sold at the public auction. The bulls featured in the sale come from some of the top breeding programs in the region. All have recently passed UTIA’s performance test, which measures the bulls’ weight gain, frame score, and reproductive soundness. Breeds to be sold include Angus, Hereford, Gelbvieh, Simmental and Santa Gertrudis. 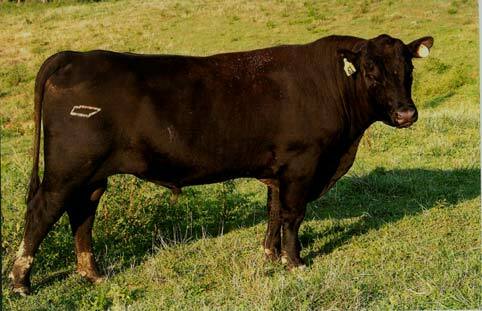 The high-gaining bull in the Senior test was a consignment of Mathis Angus Farms in Duck River, Tenn., who finished the test with an average daily gain of 5.81 pounds with an off-test weight of 1495. Second place honors went to a Mills Angus Farm (Cookeville, Tenn.) consignment that gained 5.60 pounds per day with an off-test weight of 1595. Complete test reports and sale catalogs can be found at UT Extension offices located in every county in the state or online at http://middle.tennessee.edu. The Senior Bull Test Sale begins at noon CST. Prospective buyers from East Tennessee who can’t make it to the auction site can enjoy the convenience of bidding on bulls at the two TeleVideo centers located at the Knoxville Livestock Center and the 4-H Camp in Greeneville. The purpose of the Bull Testing Station is to provide a standard, impartial post-weaning gain test that will furnish records that will be useful in breeding programs. The Station also provides a market for completely performance-tested bulls and serves as an educational tool for beef cattle improvement. The Middle Tennessee AgResearch and Education Center is one of 10 outdoor laboratories operated by UT AgResearch, a division of the UT Institute of Agriculture. In addition to its agricultural research programs, the UT Institute of Agriculture also provides instruction, research and public service through the UT College of Agricultural Sciences and Natural Resources, the UT College of Veterinary Medicine and UT Extension offices in every county in the state. The UT Extension Master Beef Producer (MBP) Program started 10 years ago in 2004. Since its inception there have been over 268 Lawrence County Beef and Dairy Producers who have completed the 30 hour course. The MBP Program has been extremely successful, not only in Lawrence County but all across the state. 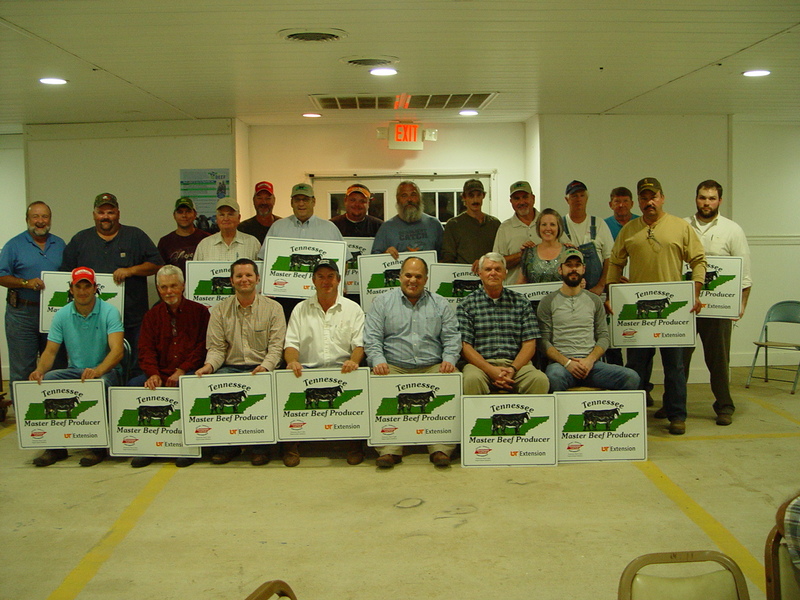 In 2006 the Tennessee Enhancement Grant Program (TAEP) was established and the state began offering incentive to cattle producers who completed the Master Beef Producer Class. Through the life of the TAEP, Lawrence County Producers have been awarded 1042 grants worth 4.3 million dollars, which ranks Lawrence County 1st in the state in grants awarded and 2nd in the state in dollars awarded. The Tennessee Department of Agriculture, which administers the TAEP, announced in January that producers who completed the MBP from 2004-2007 would be required to complete the newly developed Advanced Master Beef Producer (AMBP) Course prior to applying for the TAEP cost share re-embursements in 2015. They would be required to do this in order to be eligible for the 50% cost-share on the Genetics, Equipment, Hay Storage and Feed Storage Grants. This would continue in 2016, requiring those who completed the class from 2008-2011 to complete Advanced MBP. The 3 year cycle would be rounded out in 2017 requiring those who completed the MBP course from 2012-2014 to complete AMBP. Nutrition, Reproduction, Genetics, Health, Forages, Marketing/Management, End Product, Behavior/Facilities, Beef Quality Assurance, and Industry Issues. The Advanced Master Beef Producer Class will also be available to producers who have never completed the Original Master Beef Producer Class. This will suffice for their TAEP requirements and these producers will be given added resource materials that graduates of the Original Master Beef Producer Classes have already received. To assist those who would like to complete the Advanced Master Beef Producer Program, we have scheduled 3 different classes in 2015. Below are schedules for the first 2 classes and we will offer the 3rd class on Tuesday and Thursday nights in October. 3 Consecutive Wednesdays from 8am-2pm. 8 Consecutive Tuesday and Thursday Nights from 6-9pm. 8 Consecutive Tuesday and Thursday Nights from 6-9pm. Beginning on October 6th. As in the past the cost for the class will be $50 as long as you have a Premise ID and are current in your BQA Certification. Registration forms are available at the Extension Offices. Please call the Lawrence County Extension Office at 762-5506or email Calvin Bryant – ibryant1@utk.edu if you would like to register or have questions. In a joint effort to rebuild a declining Tennessee beef herd, the University of Tennessee Institute of Agriculture, the Tennessee Department of Agriculture and Tennessee Farmers Cooperative have announced a unique public-private partnership. UTIA will make room at its Dairy AgResearch and Education Center in Lewisburg for 100 beef heifers consigned by farmers from across Tennessee for a development program with the goal of increasing cattle numbers in the state. Nationally, Tennessee has dropped from ninth in beef cattle production to 13th in the past two years due in part to a decrease in the state’s herd caused by economic and weather-related factors. Currently, the state hosts about 864,000 beef cows. The goal of the new Tennessee Beef Heifer Development Program is to increase that number, which is consistent with the recommendations of the Governor’s Rural Challenge. Issued in December 2012, the challenge sets a goal of making Tennessee No. 1 in the Southeast in the development of agriculture and forestry, emphasizing efforts to increase farm income and agribusiness investment. With beef producers located in every county in the state, enhancing beef cattle production is a natural priority for the state’s agricultural community, said Agriculture Commissioner Julius Johnson, who offered the department’s full support of the initiative. The most economically straining aspect of beef management is the development of replacement heifers, said UT cattle expert Kevin Thompson, who serves as director of the Middle Tennessee and Dairy AgResearch and Education Centers. The UT Dairy AgResearch Center in Lewisburg is perfectly located for the statewide program, said Thompson. With support through a $243,000 Tennessee Agricultural Enhancement Program grant from TDA and an in-kind contribution from TFC totaling more than $125,000 in supplies, equipment and other services over a five-year period, UTIA will construct or upgrade certain facilities to accommodate 100 privately owned beef heifers consigned for intensive management. Improved protocols for animal production — including nutrition, health, handling and reproductive management — will be developed so they can be replicated by individual producers across the state. After 11 months of intensive management and care at the UT AgResearch center, the heifers will be returned to consigners or offered in a bred heifer replacement sale. UT Extension has also been involved in the program development and will continue to have a leadership role as the program moves forward. UT is working to identify select producers willing to consign heifers to the pilot project. Construction of required facilities is expected to begin by the end of the year, and the first shipment of heifers should arrive in October 2015. TDA has agreed to offer TAEP scholarships to producers who participate in the pilot project to help defray a portion of their management costs. With the importance of beef production to Tennessee’s agricultural economy and the Co-op system, this new project makes “perfect sense for the cattlemen of our state,” said Bart Krisle, TFC’s chief executive officer. UT Institute of Agriculture Chancellor Larry Arrington reiterated the importance of research and extension to the process of economic development. “Providing real life solutions to production problems is the mission of the UT Institute of Agriculture,” he said. “This new program has the potential to truly grow the state’s beef cattle industry and to have a substantial and lasting impact on the state’s rural economy. In addition to its AgResearch program, the UT Institute of Agriculture also provides instruction, research and public service through the UT College of Agricultural Sciences and Natural Resources, the UT College of Veterinary Medicine and UT Extension offices in every county in the state. 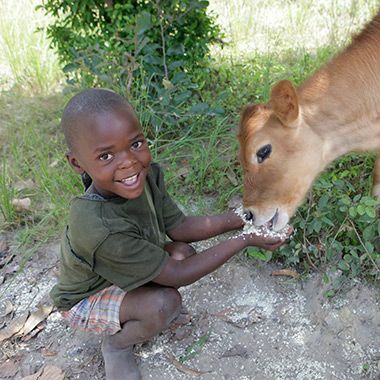 Are you looking for ways to help the local beef community or even to help those in need globally? Make plans to donate to and attend the auction on the evening of Friday, Jan. 16, 2015 at the Tennessee Cattlemen’s Convention and Trade Show in Murfreesboro. Please submit any items you would like to see on the agenda to info@tncattle.org. Need to register for the TCA Convention and Trade Show? Download this form and send it into the TCA office located at 530 B Brandies Circle, Murfreesboro, TN 37128. Jeralyn Stephens during her internship in 2011. The National Cattlemen’s Beef Association’s and the Public Lands Council’s government affairs office in Washington, D.C., is accepting applications for the summer 2015 public policy internship. The deadline to submit an application is Feb. 9, 2015. NCBA Executive Director of Legislative Affairs Kristina Butts said this is a great opportunity for students with an interest in the beef industry and public policy. The full-time internship will begin May 18, 2015 and end Aug. 21, 2015. “My internship provided me a unique viewpoint of the beef cattle industry, while also allowing me to interact with Congressmen, attend meetings on Capitol Hill and work with trade representatives. It was a crash course to working in D.C. and should be experienced by all college students,” said Jeralyn Stephens, Spring 2011 Intern, current Communications Coordinator for Beefmaster Breeders United. To apply, interested college juniors, seniors or graduate students should submit the application, college transcripts, two letters of recommendation and a resume to internships@beef.org. 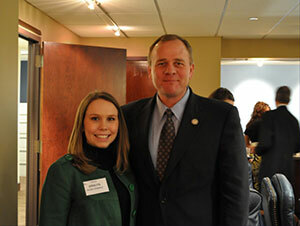 More information about the NCBA public policy internship is available on BeefUSA.org.